The first European explorer to find Iguazu Falls was Alvar Nunez Cabeza de Vaca, a Spanish Conquistador, who came upon them in 1541. The falls went mostly unvisited after that until being rediscovered once again in the late nineteenth century. 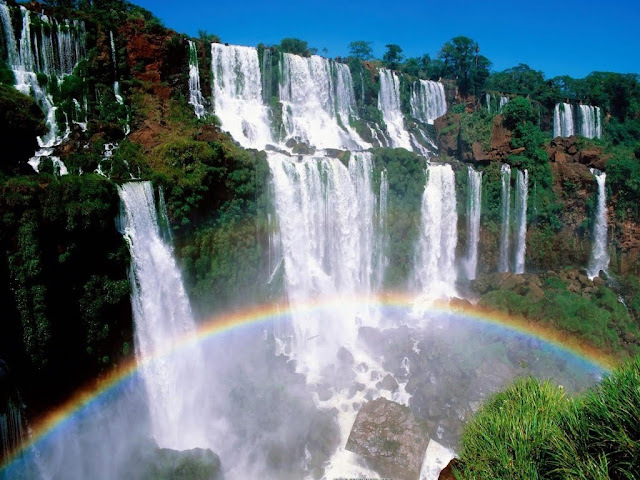 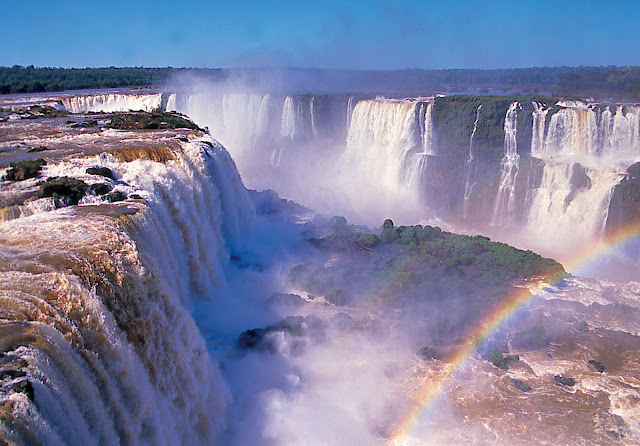 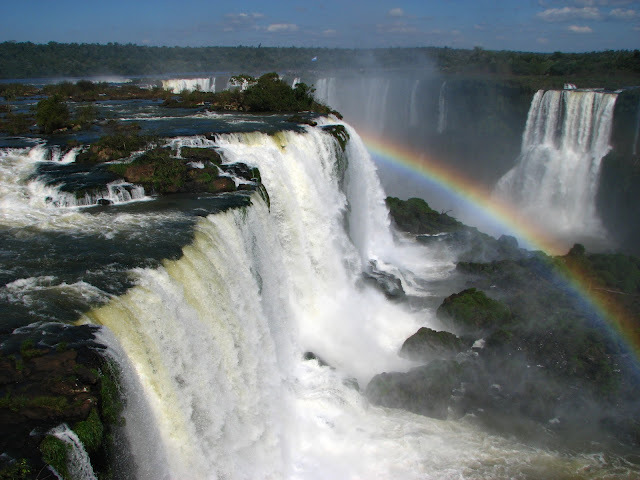 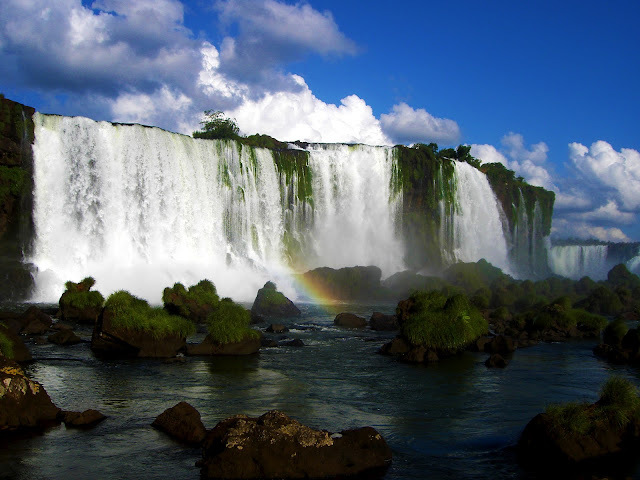 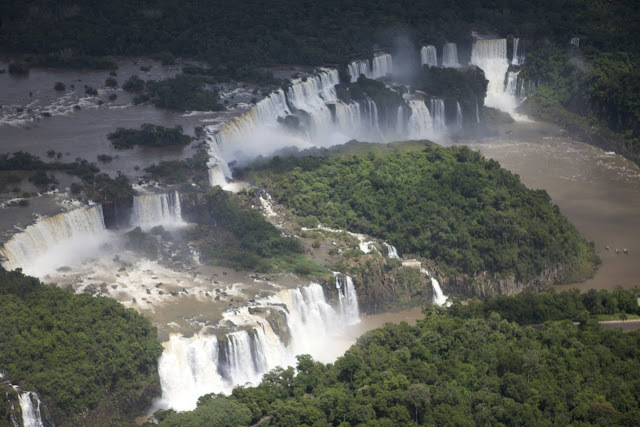 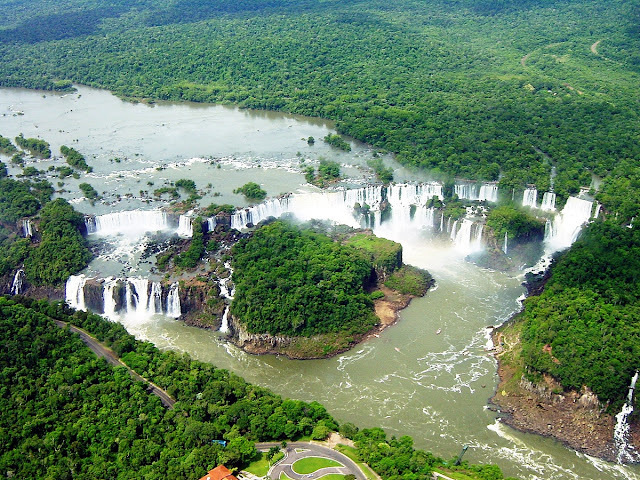 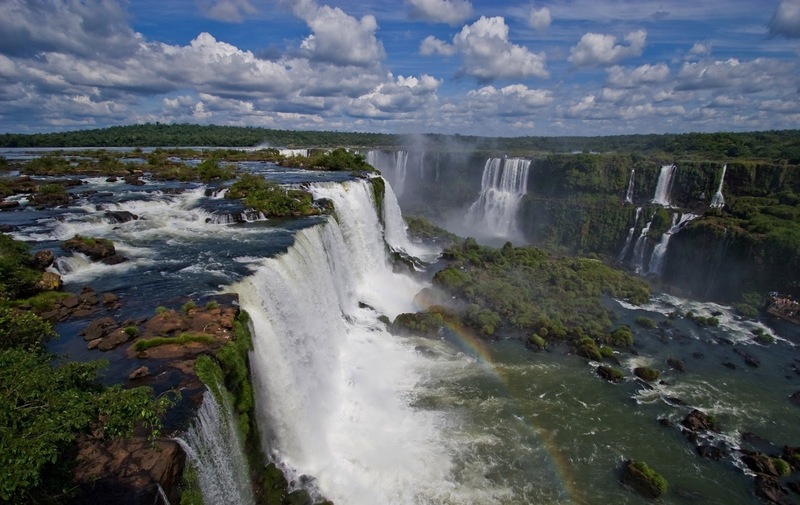 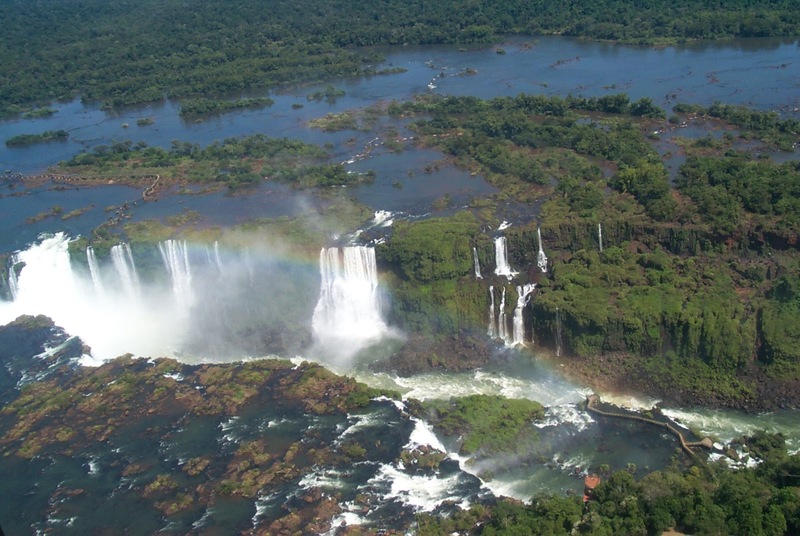 The name Iguazu comes from a local Indian language and roughly translates as "Big Water". 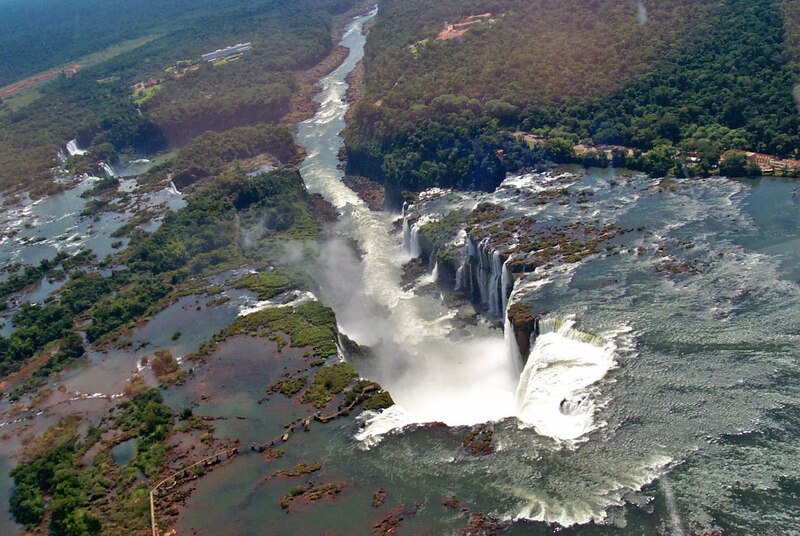 The Iguazu Falls divide the waterway into the Upper and Lower Iguazu River. 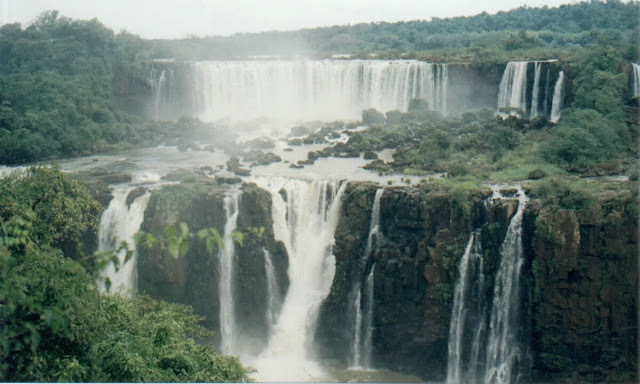 The northern bank of the falls is in the Brazilian State of Parana while the southern bank sits in the Argentinean Province of Misiones. 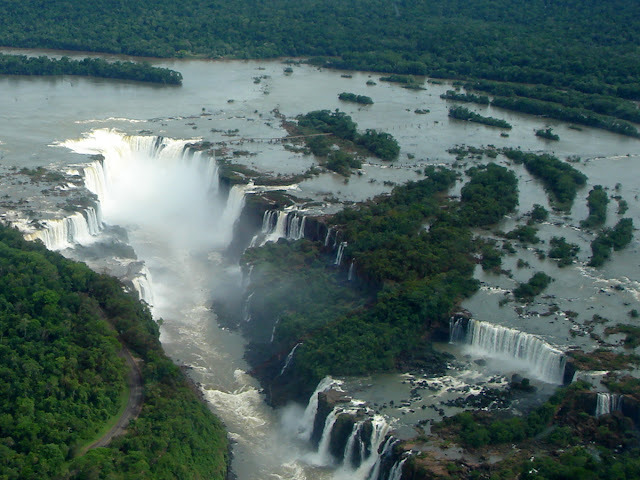 The falls themselves actually consist of over 270 separate falls that stretch for more than one and a half miles. 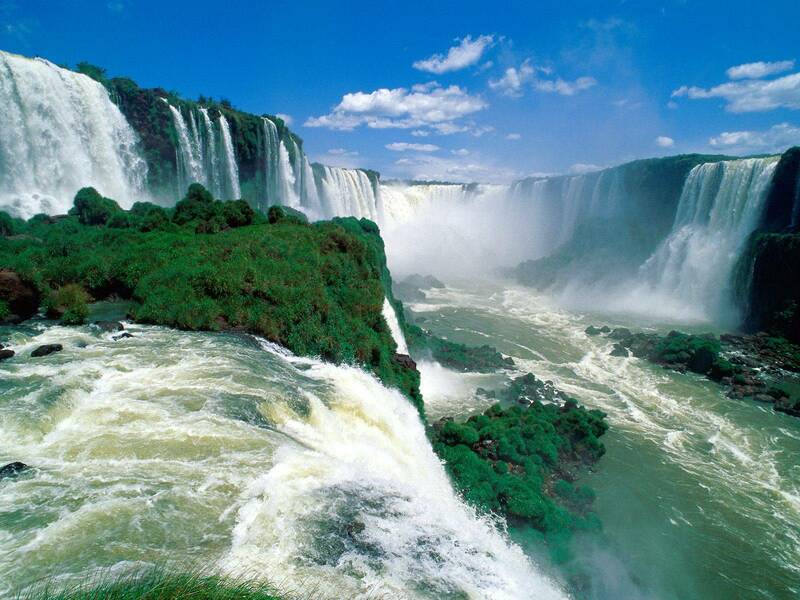 Most of the individual waterfalls are about 200 feet in height. 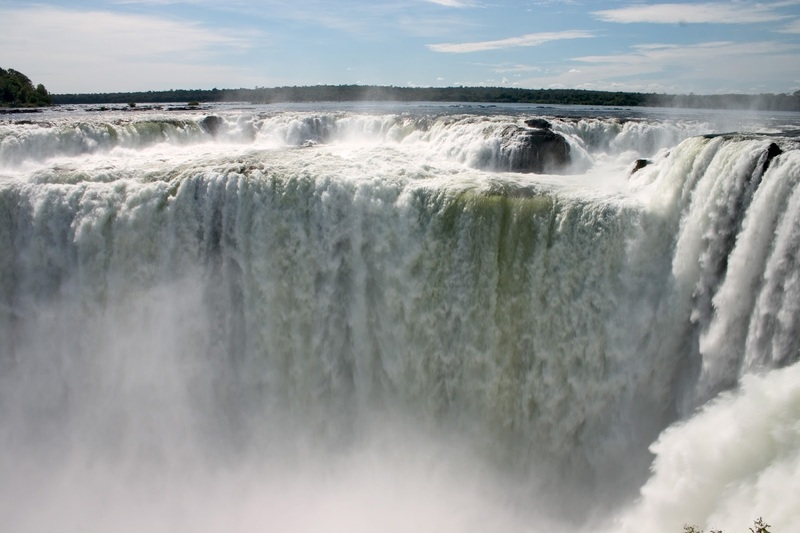 The most famous of them all is known as The Devil's Throat which is a U-shaped waterfall that is almost 500 feet across and well over 2,000 feet in length. When appearing in movies, post cards, and elsewhere, The Devil's Throat is usually the section of Iguazu Falls that is pictured. One of the main concerns about most large waterfalls is whether or not they will erode away over the course of time. 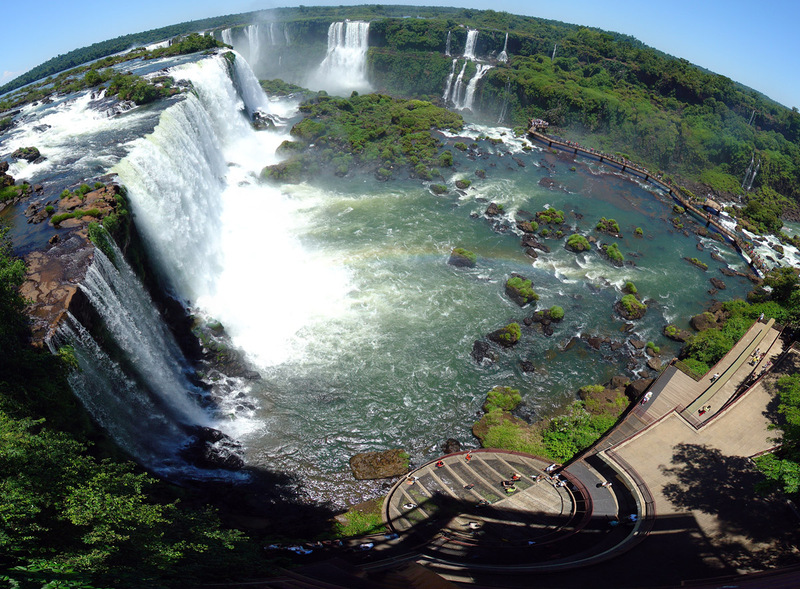 Iguazu Falls has little to worry when it comes to this as the basalt cliffs have been measured to recede, or be worn away, at approximately only 3 milimeters a year. Drought is a bigger concern when it comes to the falls, a regular drought occurs yearly that leaves the falls to look significantly less spectacular. 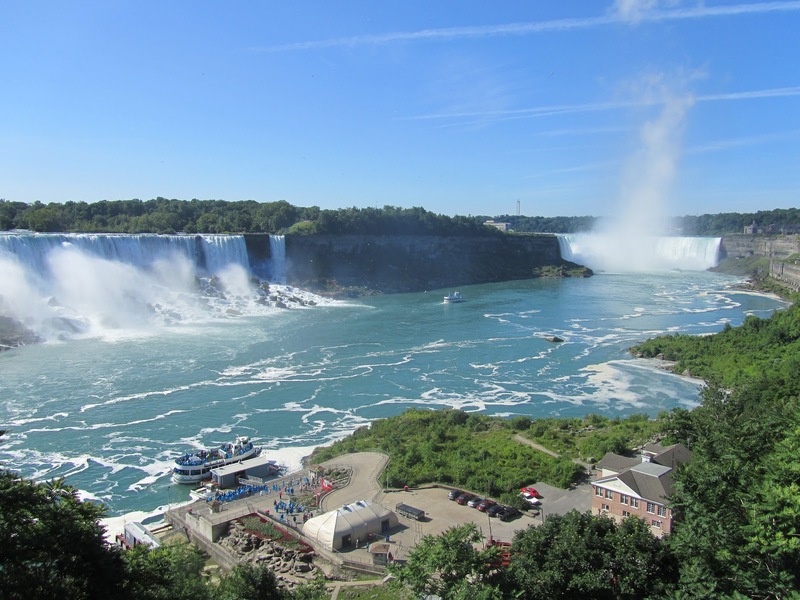 The low running water period of time usually only lasts a few weeks, but if someone is visiting the area specifically to see the falls they may want to inquire about the water level ahead of time. The magnitude and overall length of Iguazu Falls insures that it will be kept in the pantheon of great waterfalls of the world. 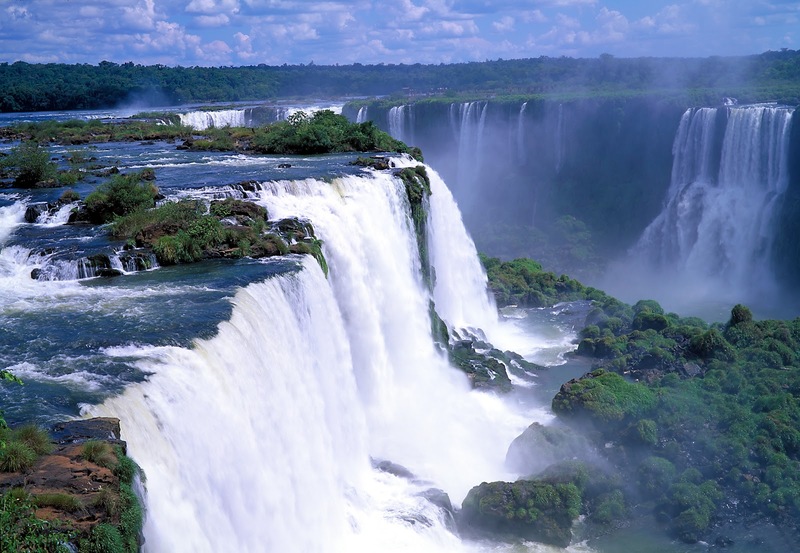 Iguazu Falls belongs right up there with Victoria Falls and Niagara Falls when it comes to the most beautiful waterfalls of all.